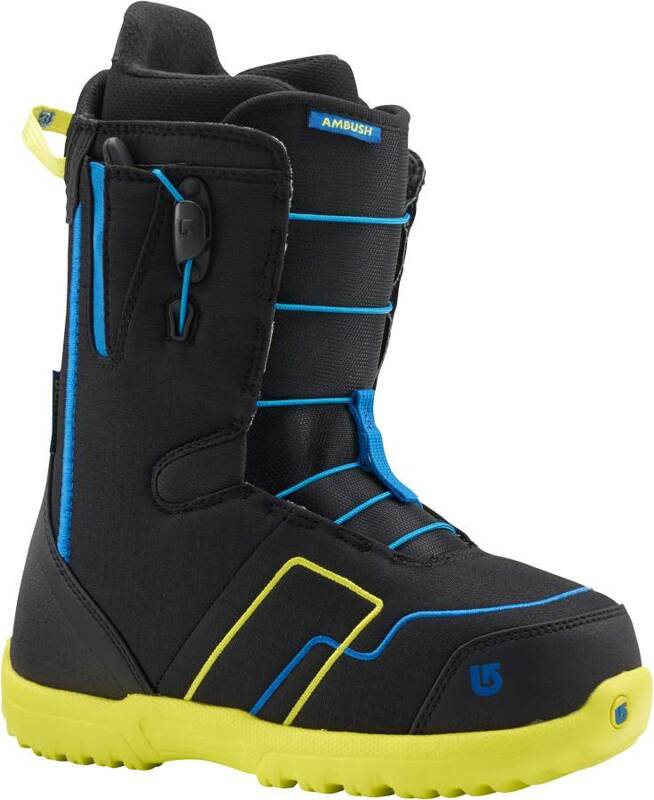 The Burton Ambush is one of those boots that has a nice freestyle feel but also has enough flex to get out on the mountain and make some good turns too. 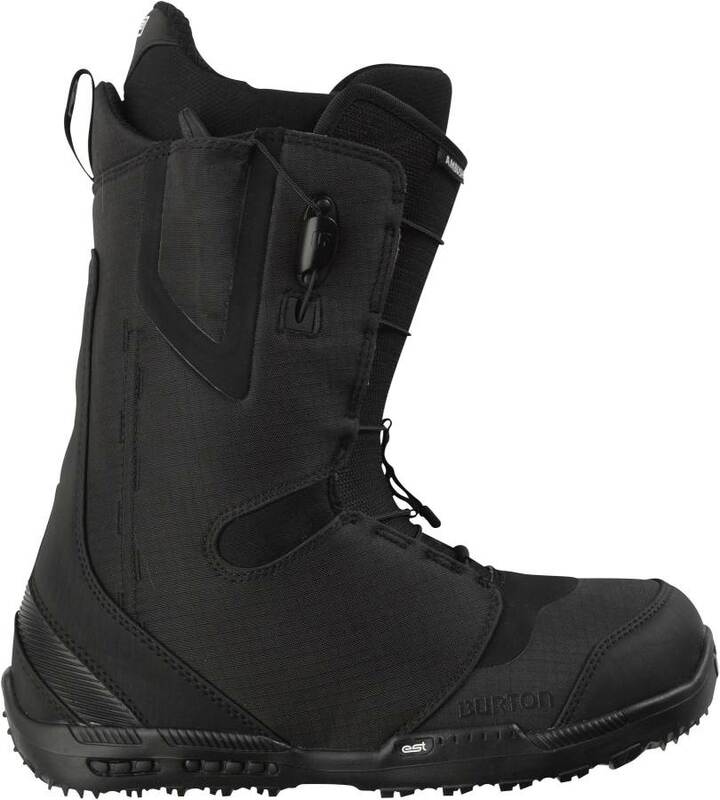 One thing to mention about the Burton Ambush and all Burton Boots is they have the best reduced footprint technology we have come across. 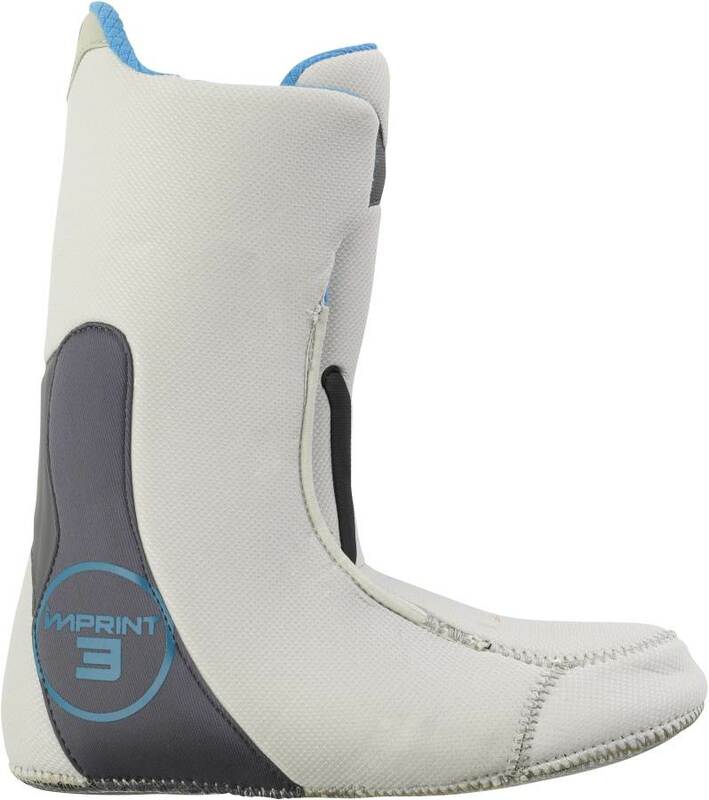 A size 9 on the inside is much closer to a size 8 on the outside. 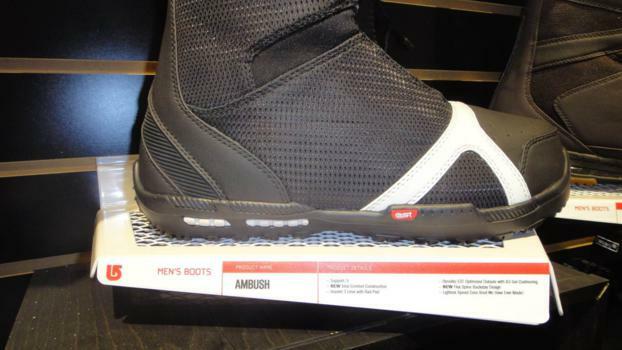 That means less toe and heel drag without the fit being off or weird inside either. This is especially important if you are one of those in betweener sizes like a 10 or 11 boot. 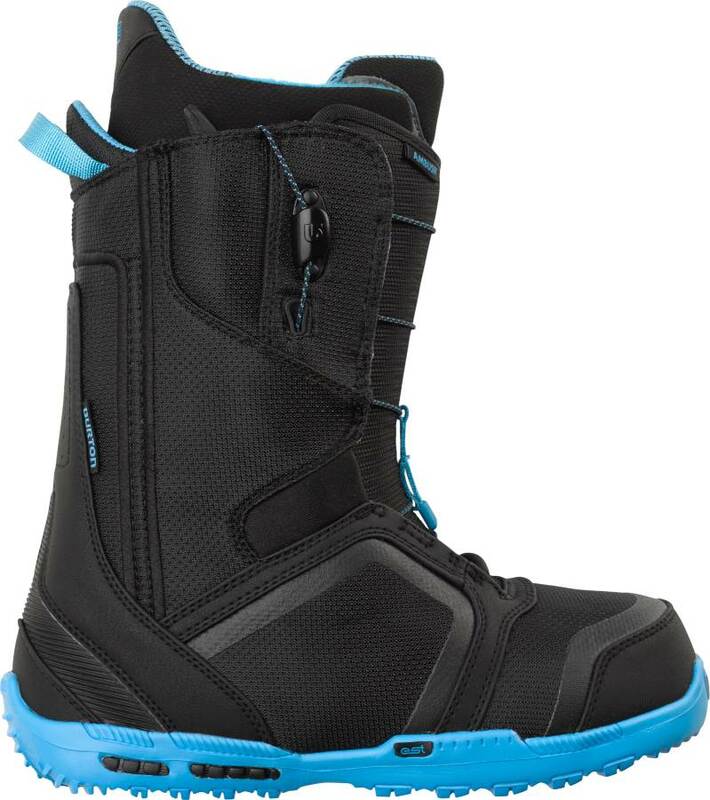 Fit: Kyle owns these boots and really likes the way they fit around your feet but I have ridden these a few days as well. 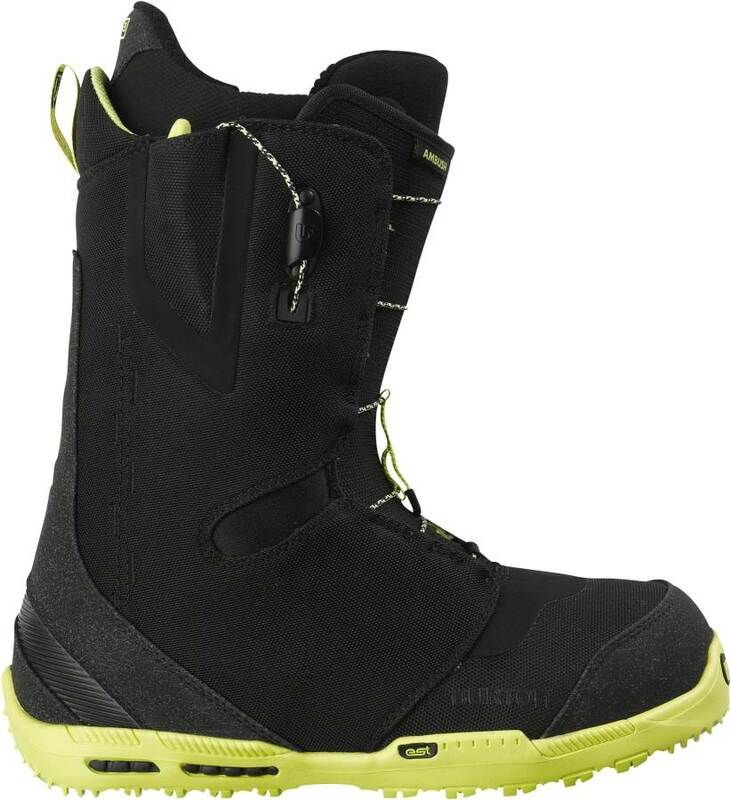 Burton boots, including the Ambush, fit most of our feet really well. They fit true to size so my size 9 foot fits a size 9 boot perfectly. 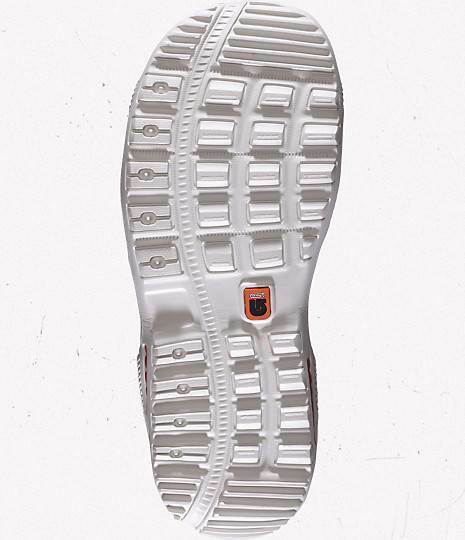 I also like how there is enough width in the toe box to allow the front part of your foot expand wider when leaning forward which feels like it gives you more balance. Even if it isn’t really true it gives you the feeling which is great. 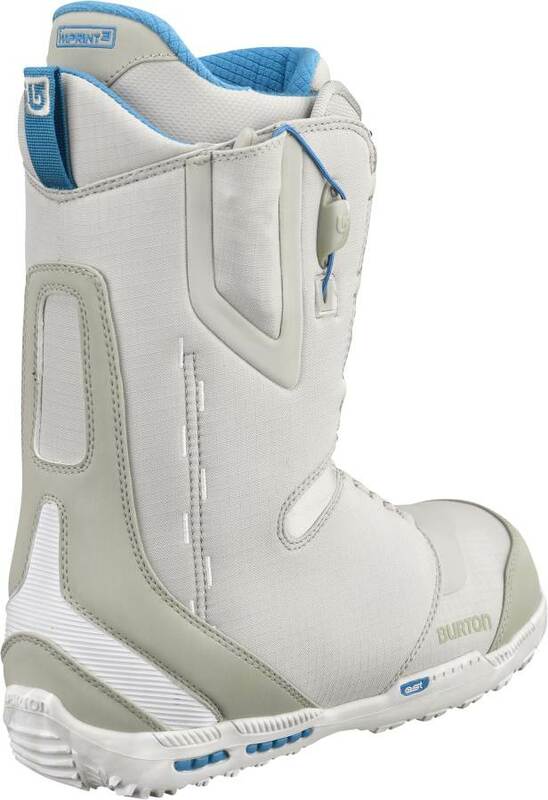 Also my toes have never gone numb in a Burton boot. Flex: Very easy forward flex thanks to the articulation material. 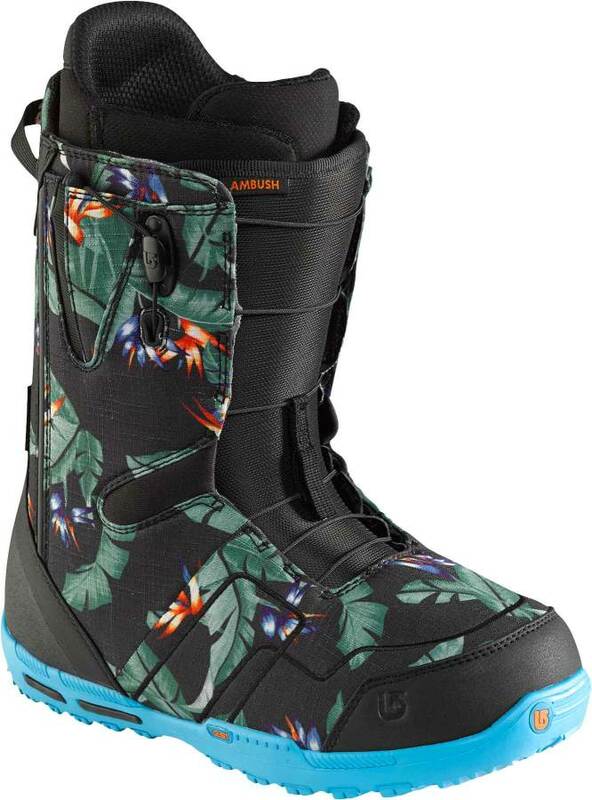 It feels like it’s going to be really soft flexing until you get it strapped in the bindings and on the hill. 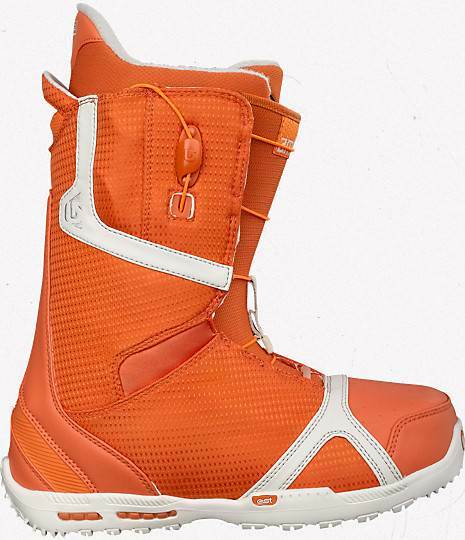 Once you are in your bindings it feels pretty medium and there is good support. 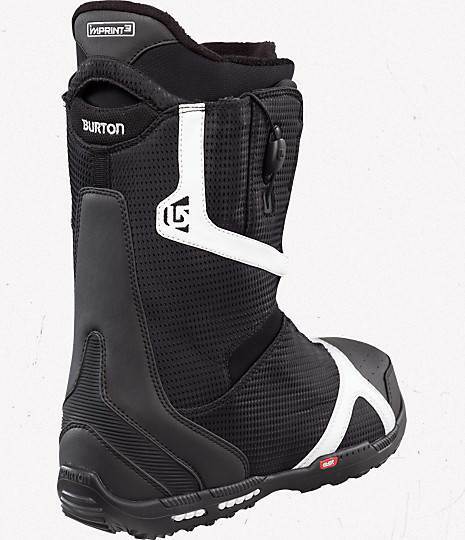 Comfort: Every foot is different but Burton usually fit’s a wide variety of feet really well and it doesn’t usually have a very tough break in period. 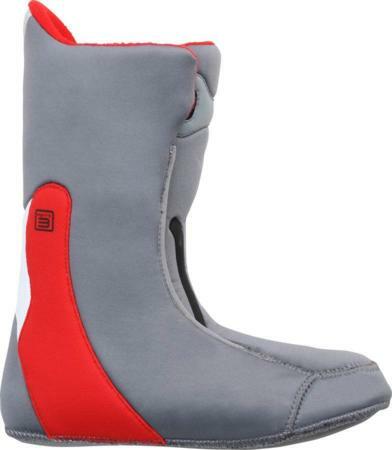 Heel Hold: It keeps you pretty locked in but it’s not like squeeze of a focus BOA boot If you want to crank down around your ankle to avoid heel lift then Speed lacing will do a good job but Double BOA will be better. 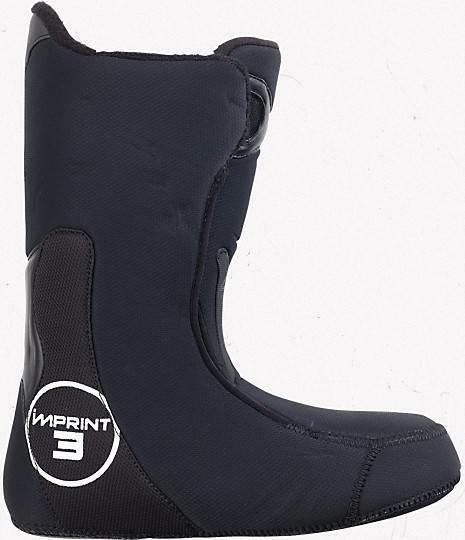 Most of us at the Good Ride would rather trade upper and lower adjustabilty for a super tight grip around the heel/ankle To each his own though. 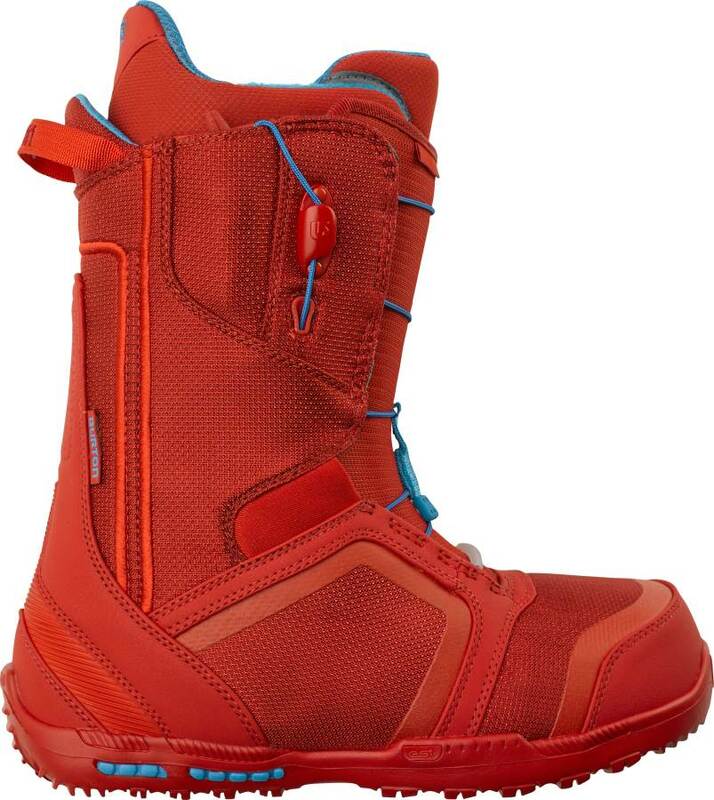 Adjustability: Speed Lace doesn’t have crank down super hard squeeze but it does hold your boot to your feet well and allows complete seperation between the upper and lower lacing. 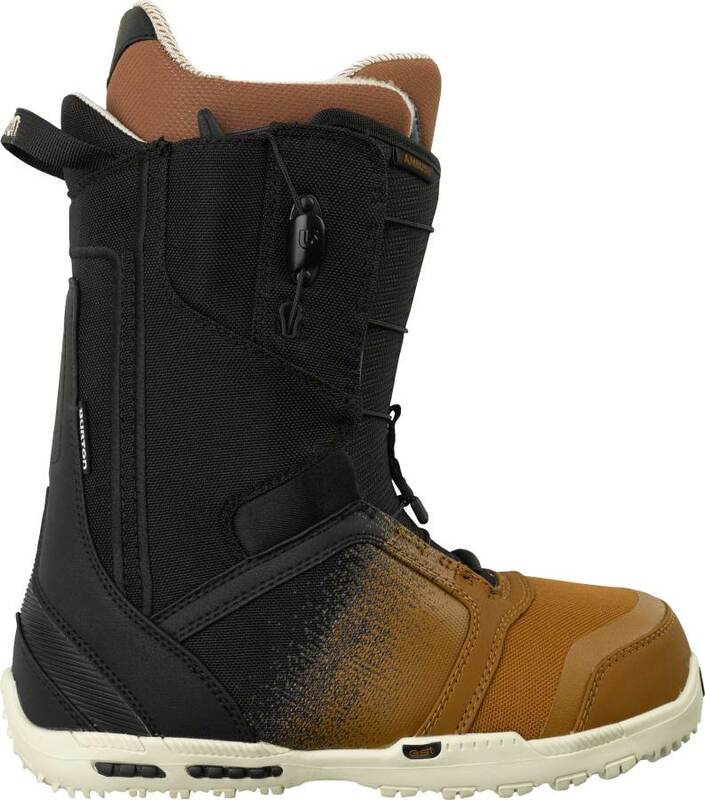 Most BOA boots don’t do that so if you like having a separate lacing system you will really like the ambush. 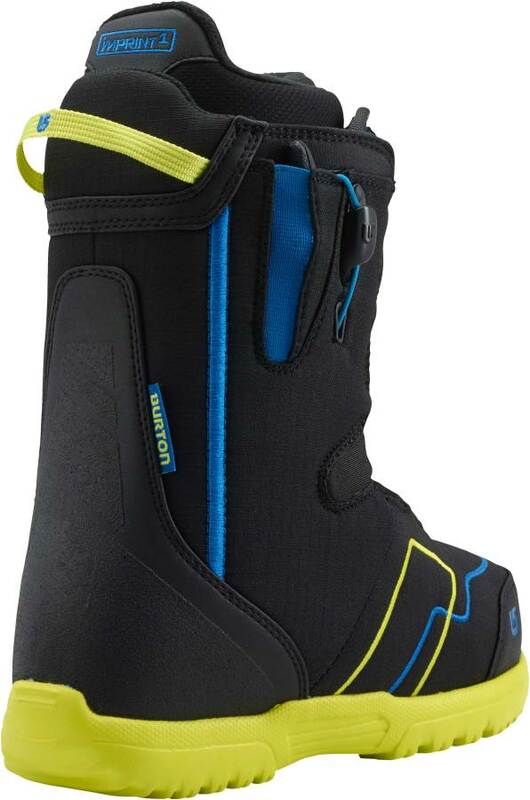 I personally like keeping the bottom a little loose and having the top pretty tight and Burton’s speed lace does a perfect job with that. You can’t do that with most Double BOA boots because they both control almost the same part of the ankle. Flex Retention: This is a light shell but it doesn’t break down that easy. It can easily get 100 days without becoming jelly. 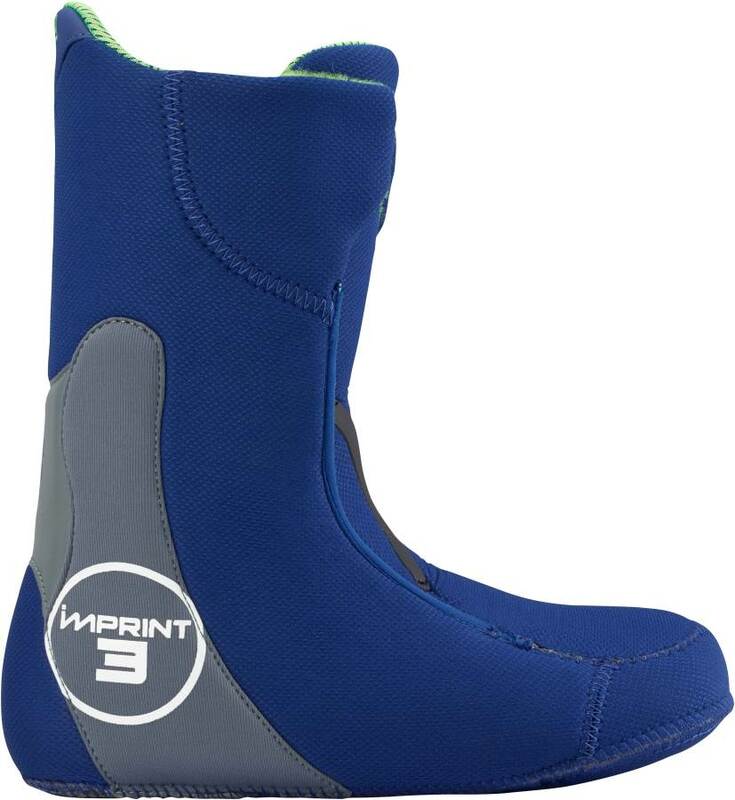 The ankle articulation in the form of neoprene where it flexes the most helps retain the flex. Also the imprint 3 boot liner has what is called a rebound rod and it helps too. Turn Initiation: Pretty middle ground response that allows a nice balanced ride. There is enough leeway in the park and enough response on the mountain. This is better with Moderate to easy turning boards but it can work with very easy to semi-challenging turning boards if you are ok with a little more or a little less response. 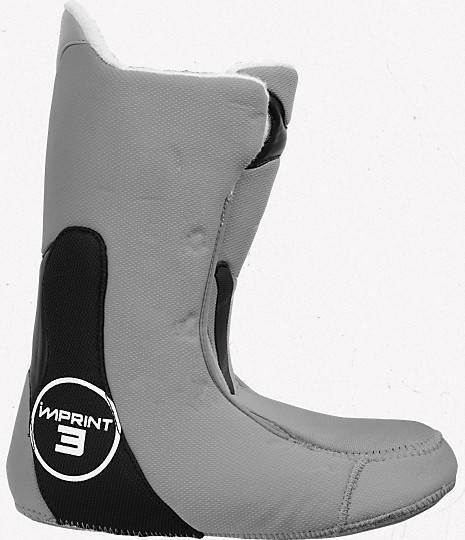 Footprint: Burton’s foot print is the best out there. It’s almost a full size smaller on the outside but the same size on the inside. So a size 10 boot is still a size 10 on the inside but more like a size 9 on the outside. 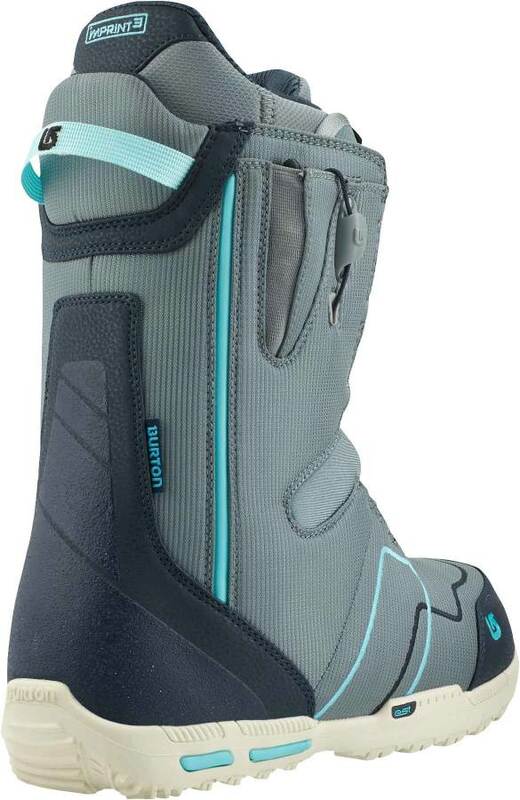 This really reduces toe drag and Burton is the best in the industry when it comes to this. 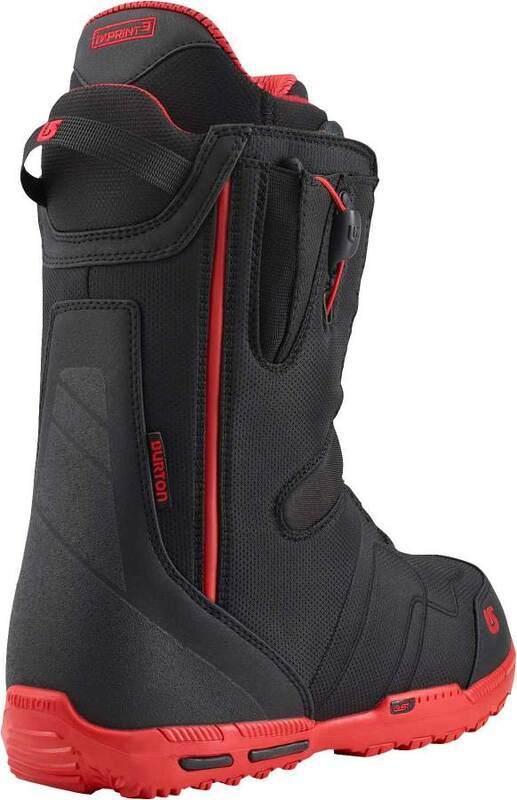 The warmth and feel of the ride is unaffected and all you have is a boot less likely to catch the snow on a hard turn or in steep terrain. 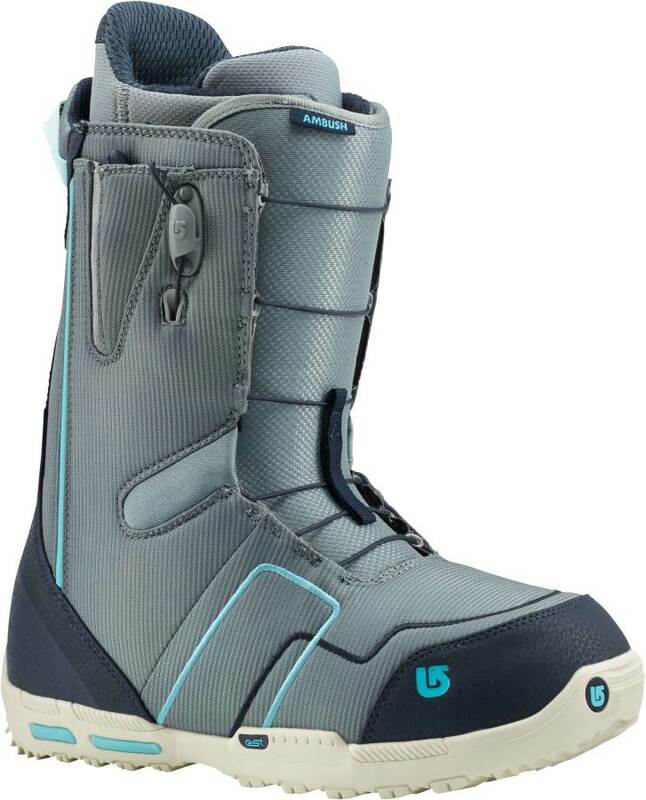 This is great for those that have big feet, ride narrow waist boards or are in between board and binding sizing. Traction: Pretty good traction. 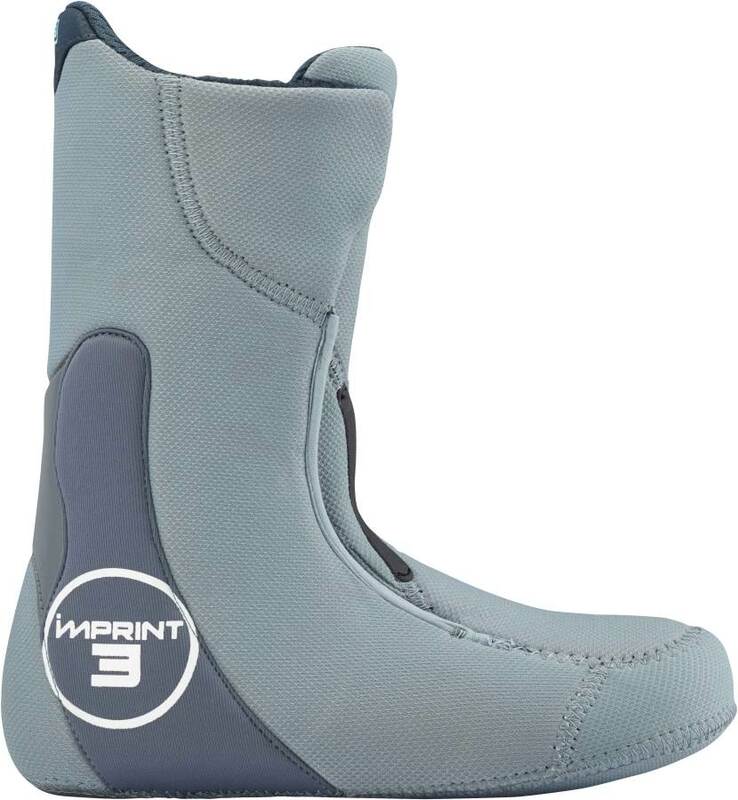 Nothing exceptional but good enough to deal with most conditions without it being awkward and slippery. 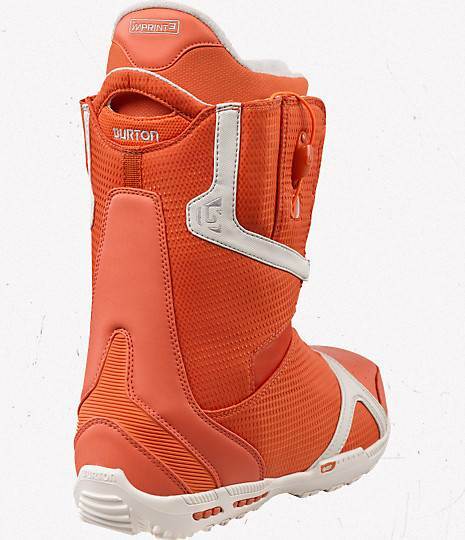 Shock Absorption: The shock absorption with almost all Burton boots has been reduced over the years and this has been reduced too. 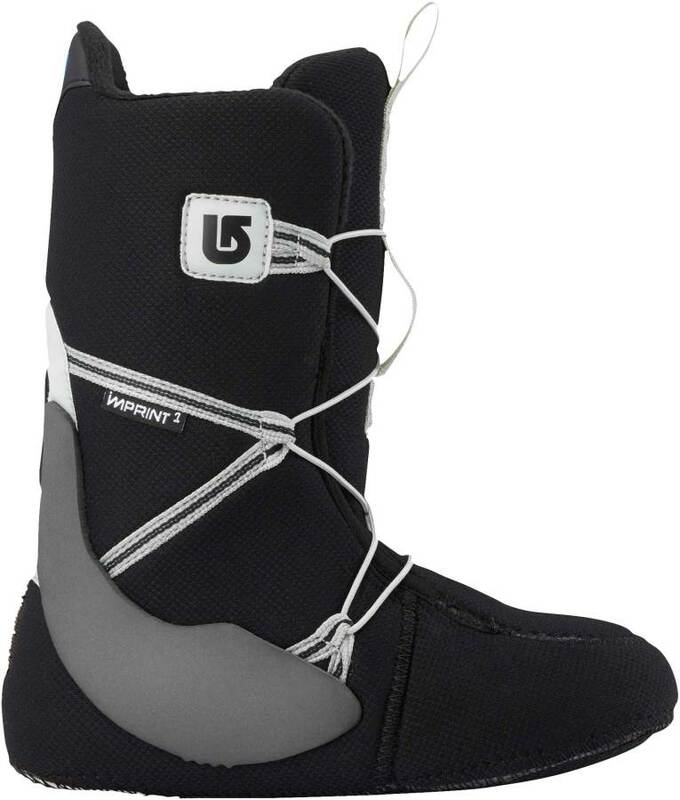 Still there is pretty good shock absorption and combined with a burton bindings you will have a lot of cushioning between you and the board. 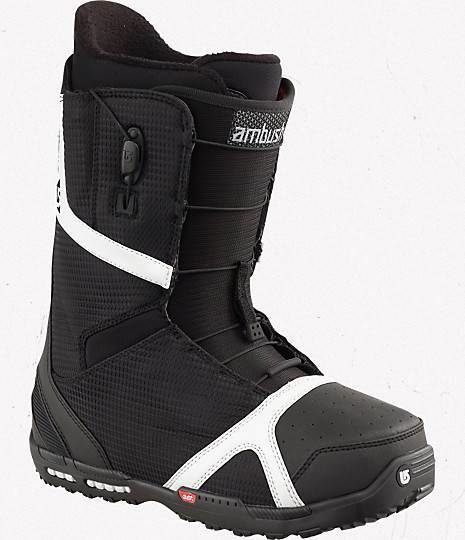 On and Off Ease: The Ambush’s speed lace is really easy to get on and off. It’s also really easy to adjust on the fly on the mountain. 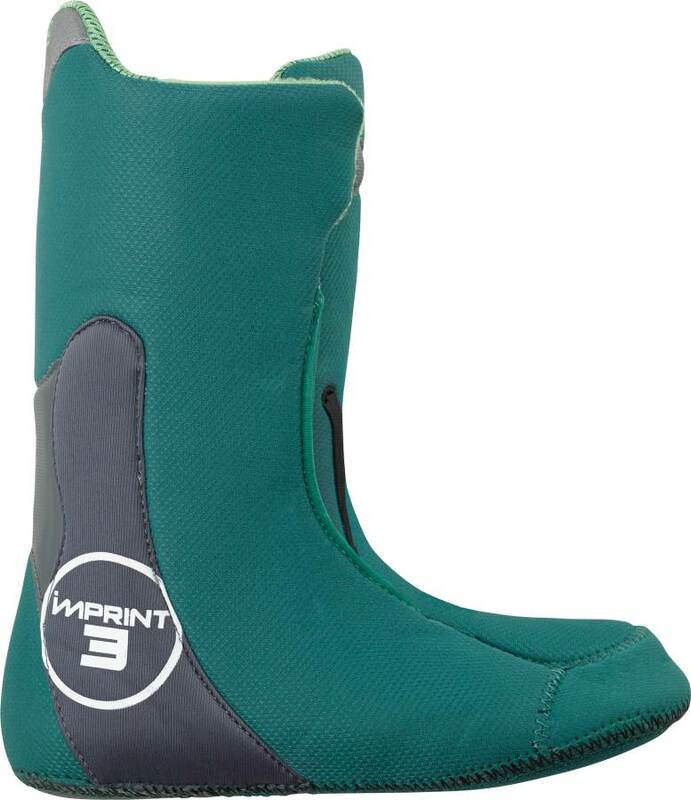 If you have to loosen your boot a bit Speed Lace is faster than BOA because it’s really easy to let off a little pressure and lock it back in. 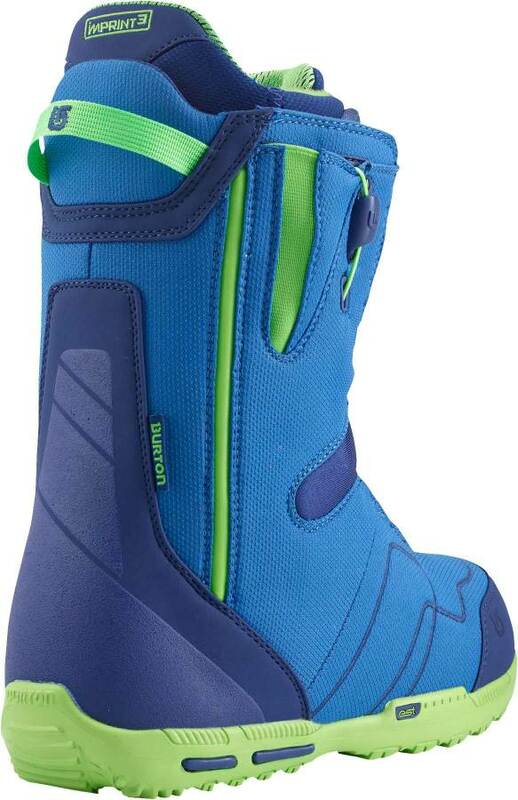 When BOA boots are released they release almost all the way and then you have to tighten all the way back up again. 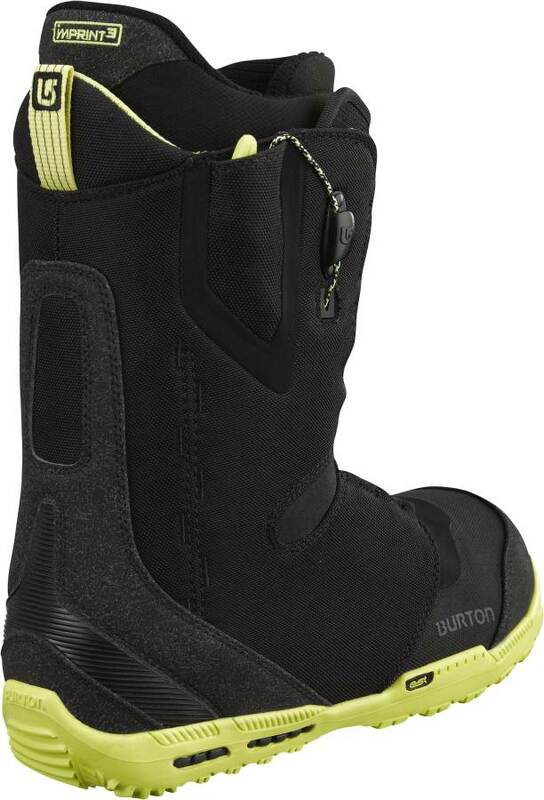 The Burton Ambush is a light mid flexing mid response boot that can fit a wide variety of boards. 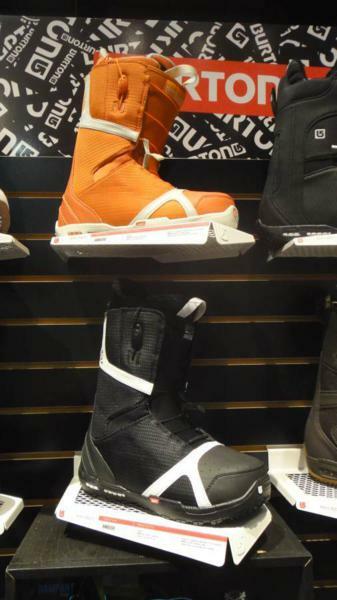 It’s one of Kyles favorites and we all liked this boot as well. 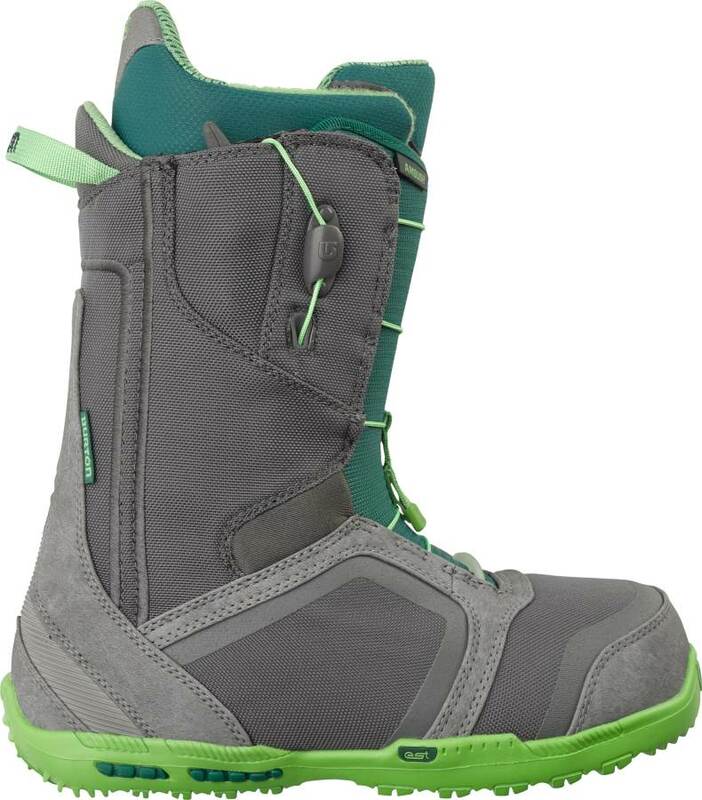 It’s a very comfortable easy lacing boot that I think many will like. 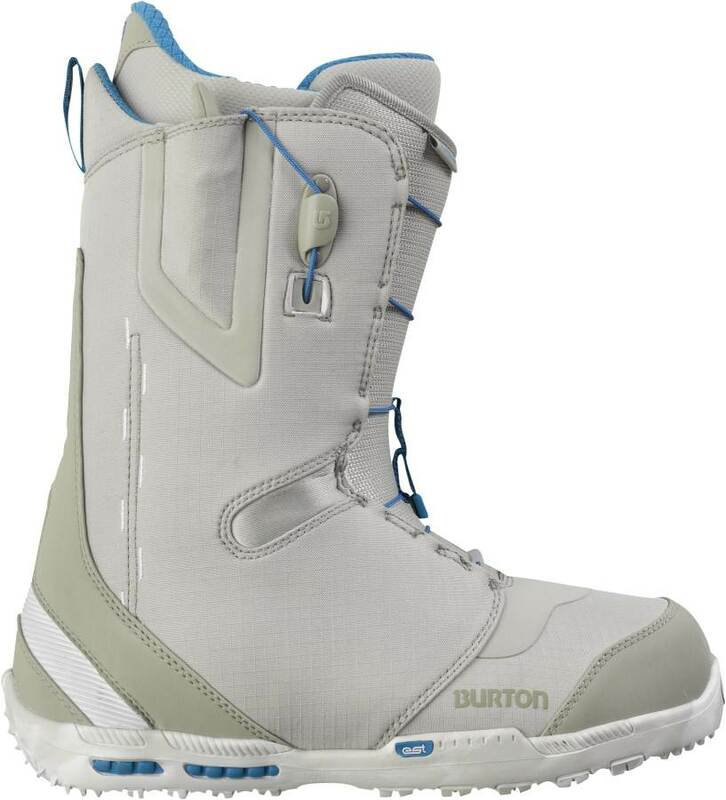 The Burton Ambush is in some ways is a continuation of the 2010 Burton Ozone when it comes to lightweight all mountain freestyle exploration. 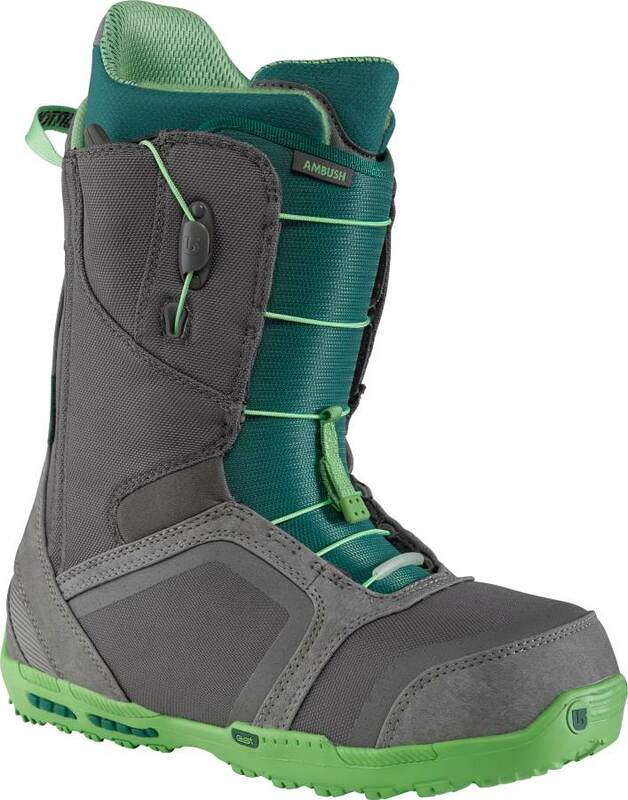 We’re not sure why Burton got rid of the Ozone because it was a solid boot for the price, but the Ambush is a great boot as well. 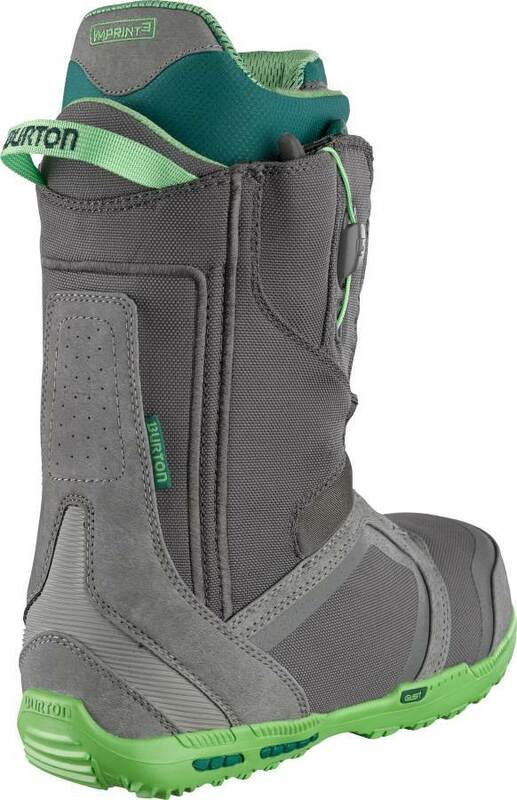 The Ambush does have some of Burton’s mid-level tech, a soft flex, and decent response. 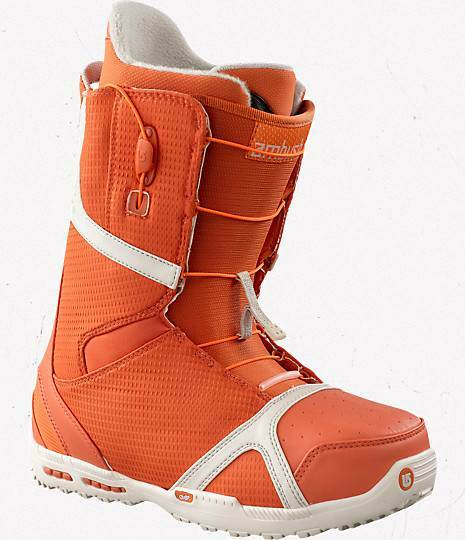 We liked the articulating cuff from the discontinued Ozone, but the Ambush does a good job with a new type of soft articulating material at the ankle that goes pretty far back. 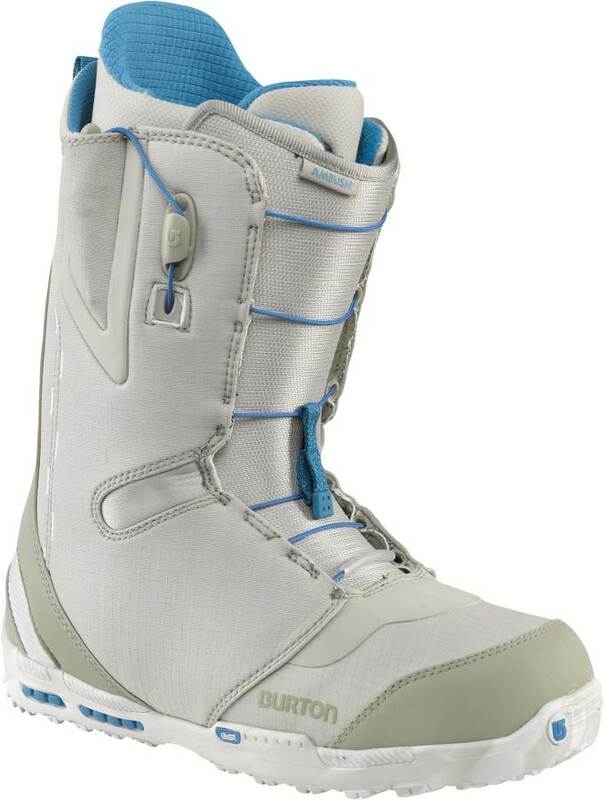 It’s very similar to the Burton Rampant and Nike Zoom Kaiju when it comes to the articulation. It’s not quite as responsive as the Kaiju, and a bit more responsive than the Rampant. 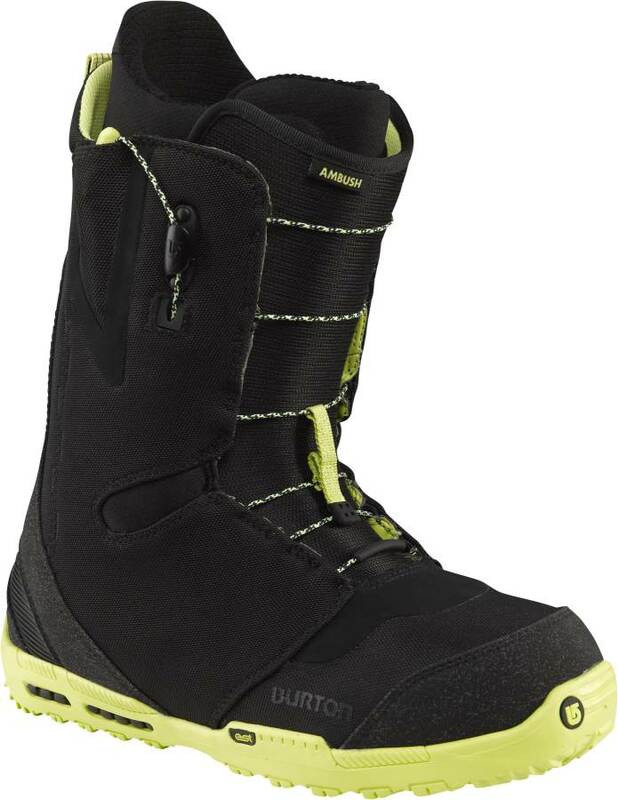 People can say what they want about Burton boots but one thing we’ve noticed is they’re possibly the most comfortable boots out there and they have improved significantly in the last 5 years. 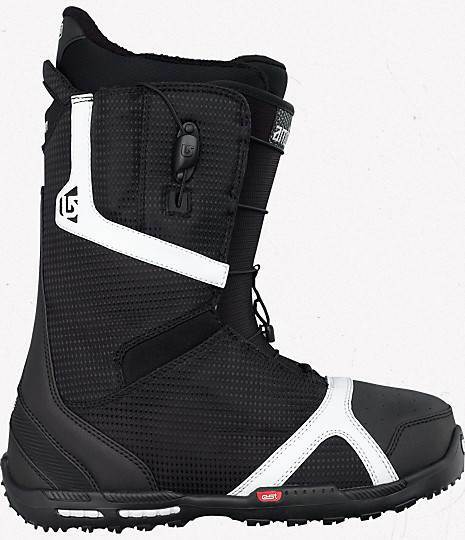 We touched on this before but these are incredibly light boots – lighter than most boots out there. 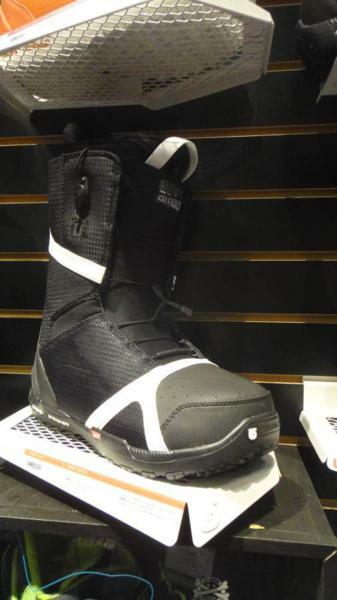 Little changed from 2011 to 2013 except for a few minor tweaks and a new comfort system design that really does make the boot more comfortable. 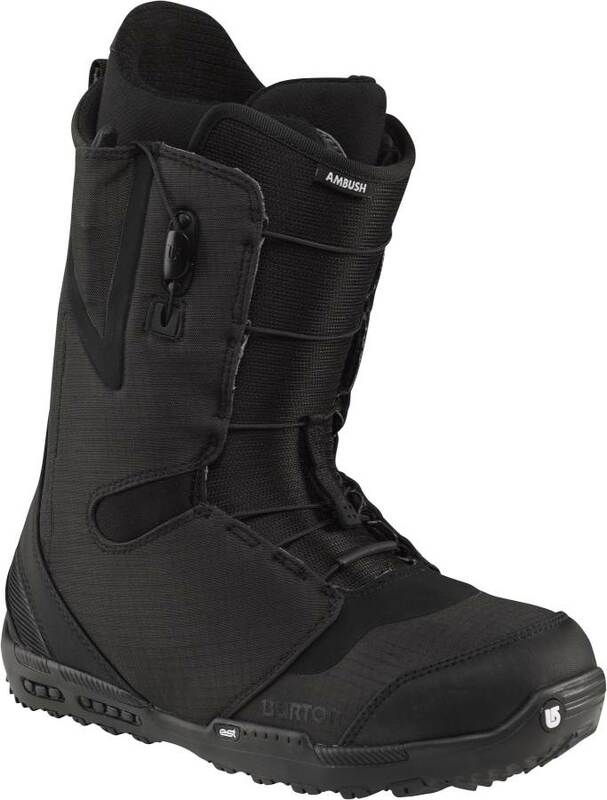 The Ambush will provide a light skate-like feel to the boot that offers a little more response and turn initiation than your average park boot. 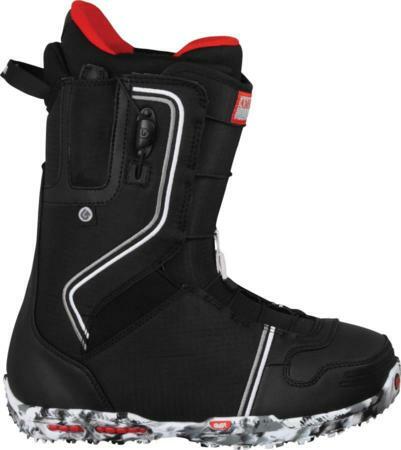 Many will like this boot if they want a minimalist approach to an all mountain freestyle ride. We try to get as many images of the Burton Ambush, but forgive us if they're not all there. I bought these boots in 2015 and have worn them for a few seasons now, probably have put in 100 days with these on. My foot is a 10.5 athletic, with a mid arch, so I went with the 10.5's. The boot is incredibly light-weight and when you first put it one you notice this. My trips to the mountain are usually of the weekend warrior type, where I'm hitting it hard for 2 or 3 days in a row. 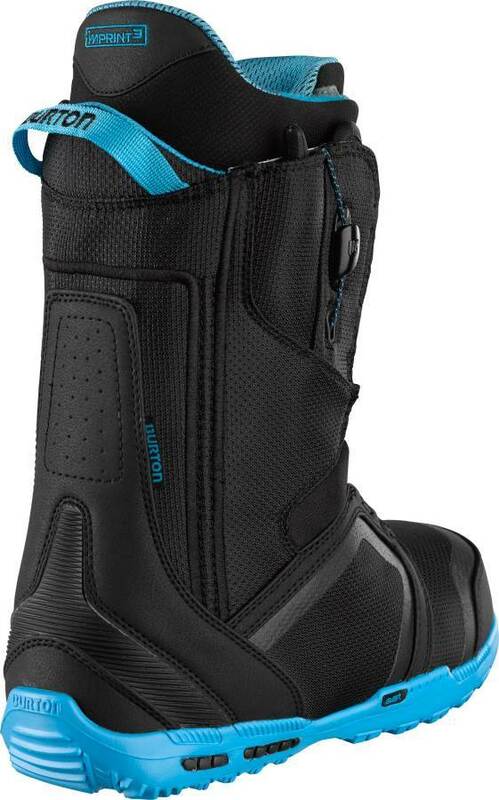 My issue with these boots is the TERRIBLE pain that I get on the roof of my foot. The pain doesn't start until about half-way through the first day, and it just builds from there. Thankfully, the speed lace system is efficient and I'm able to rip the boots off when I start to feel my heart-beat on the top of my foot due to the throbbing of pain. I've had to take runs off just to allow my feet to recover while my buddies still are hitting it. My stubbornness has prevented me from getting another pair of boots along with my hopes that they would break-in, However, they did not. 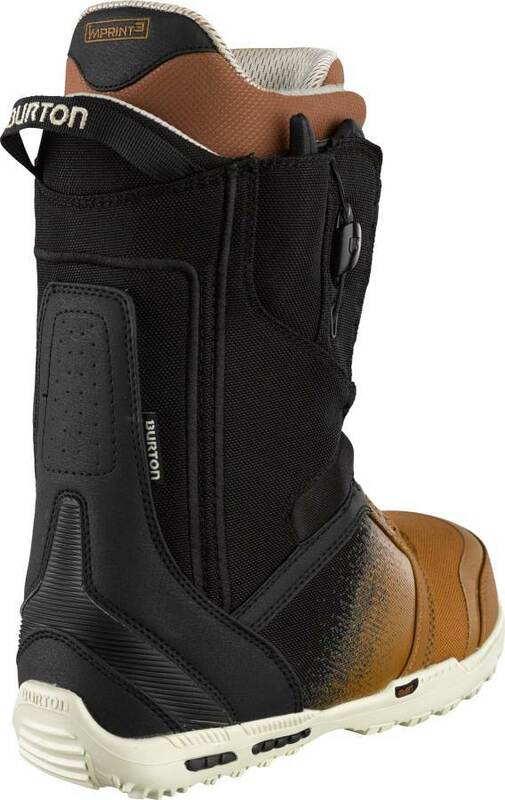 If you have a mid to high arch, I would strong recommend not getting these boots. 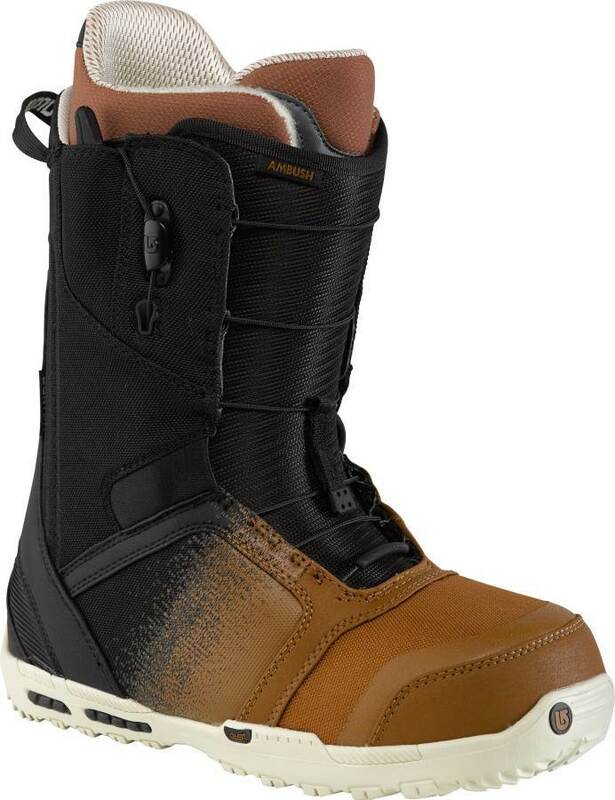 I have been riding these boots for over two seasons now. 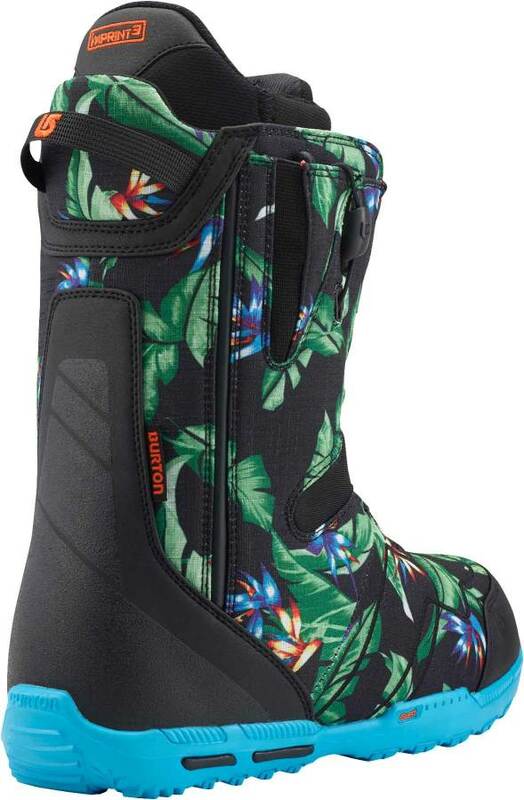 Well, not bad boots at all. The flex is on borderline soft to medium, they run true to size, have good lateral support thanks to rods. 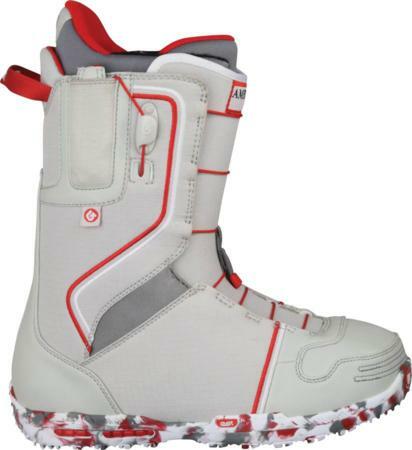 EST optimalized sole, which works really well if you pair with EST bindings you can get increased board feel. 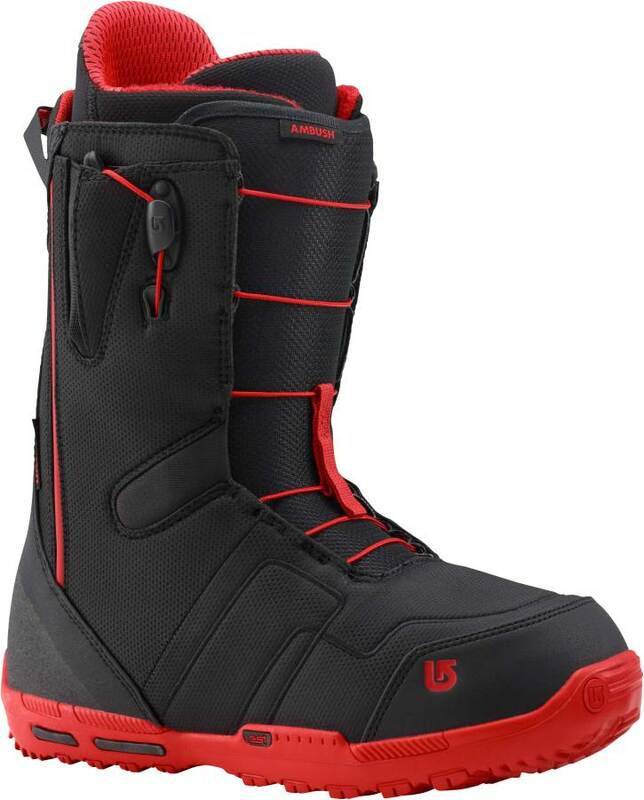 Ideal for park riding and also all-mountain if you are not bombing down. 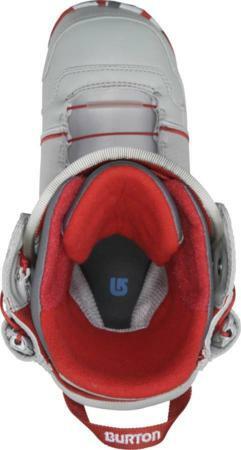 Lacing system works pretty good, easy to get in/get out. On the other side there are some drawbacks such poor quality of the shell that gets toren quite easily and does not last long, though. 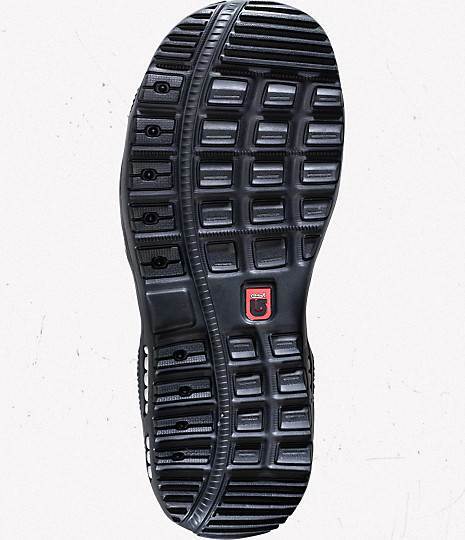 The main concern is related to DinoLite outsole, it wears off a way to quickly, has almost no grip at all. You can slip off walking around almost any time. 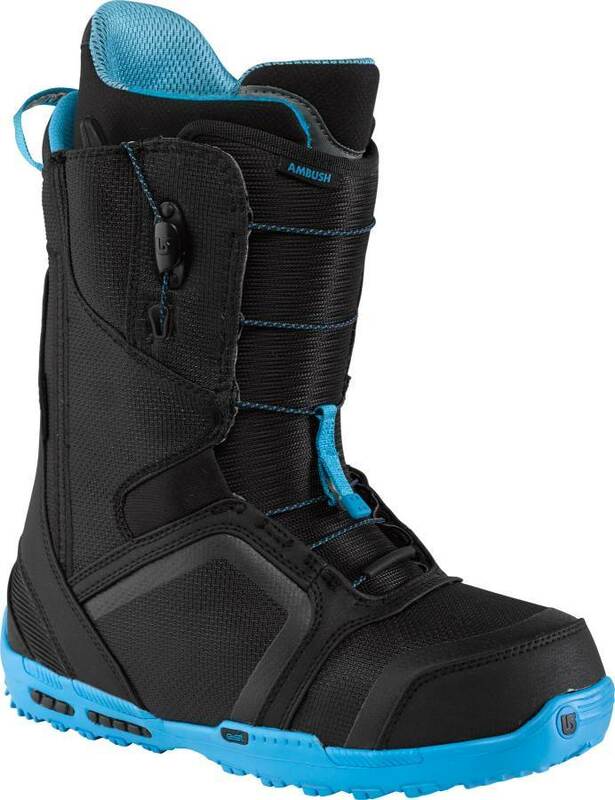 So all in all, it's a good mid-range boot, however if you dream for off the piste runs more than park ripping there are certainly better boots, like the Imperial or the Fiend for enhanced flex and sole grip. 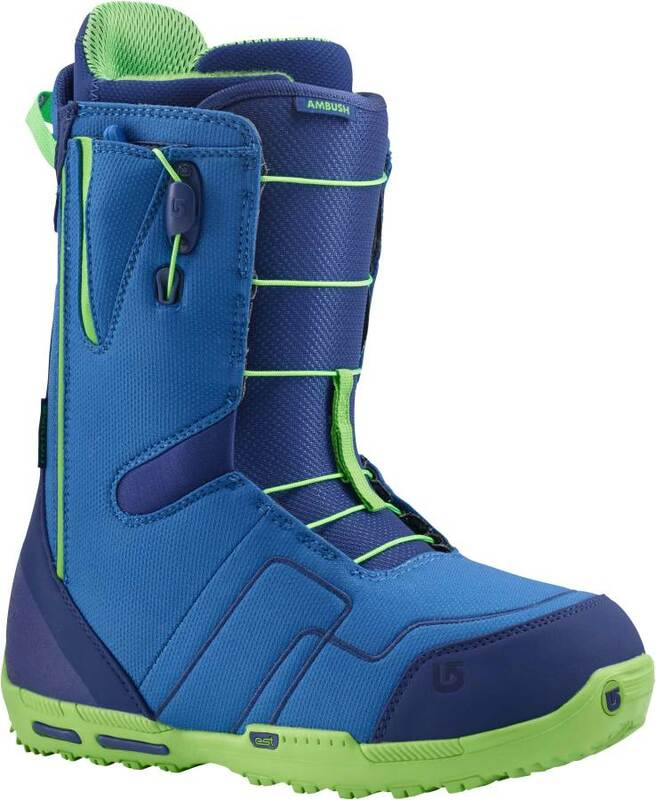 I bought this boots - 2015 model. I cannot explain how much pain they caused on my arch. Apperentlly i have a bit higher arch, tried to wear them despite the pain ito see if they are going to soften up a bit but it didn't happen. 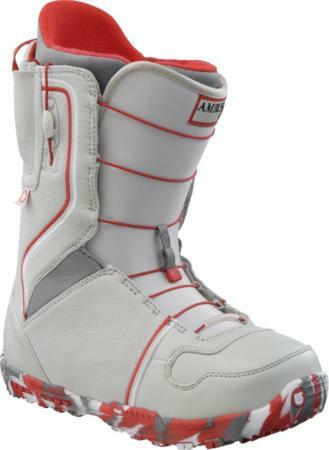 I have had to give them avay after only couple of days of use. I have these in an 11.5, which allows me to ride most non-wide boards fine w/o drag. Burton rates these as a 4-5 on flex which is true on day 1. 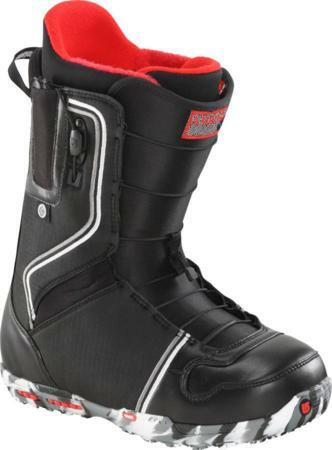 I rode these for 5 days straight and by the end of the trip they had the support of Sorel boots. 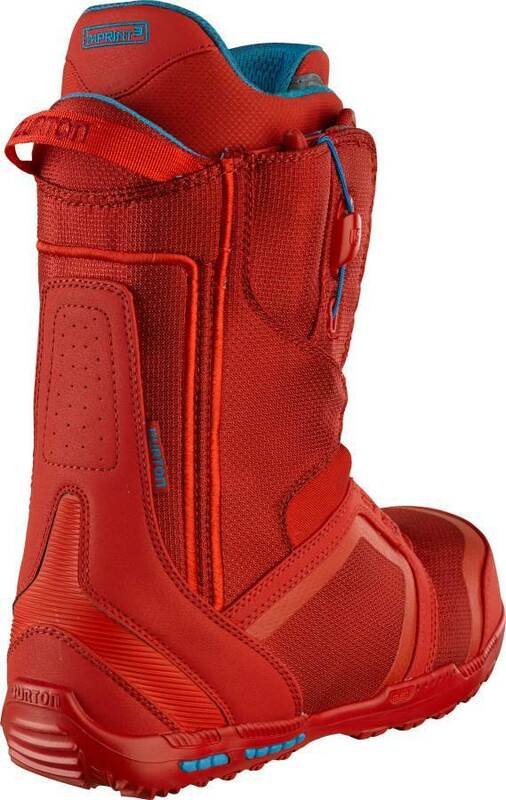 It could be my 200 lb body, but I'd give these a stiffness of a 2. 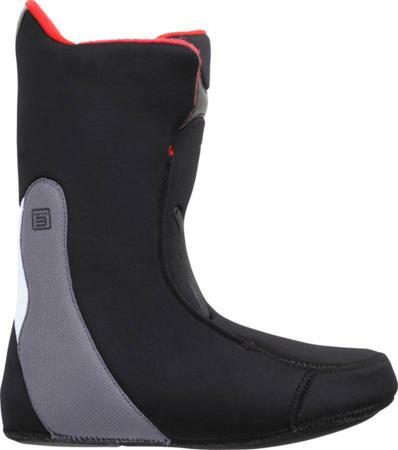 Great for park riding, but if you're more into all mountain riding I'd get a stiffer boot (Imperials maybe). 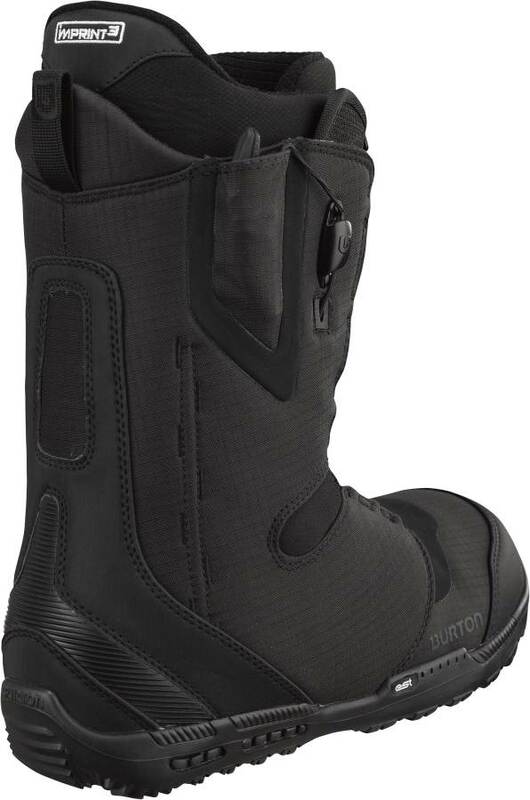 I like a softer boot, just too soft IMO. I love the lightweight and shrinkage tech though. 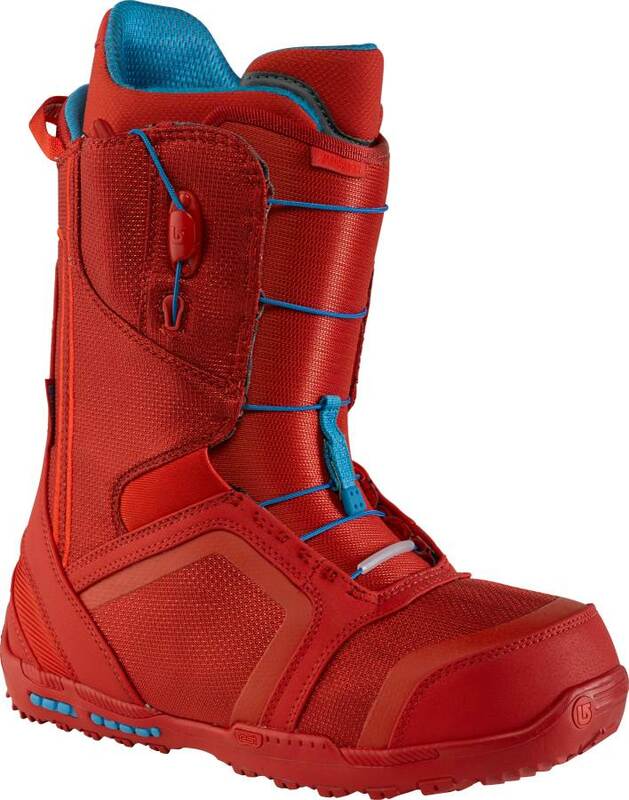 If you're an 11.5 like me get Med bindings! My size L Cartels chewed these up in the back, and in the toe box area. Need to give Burton a call.